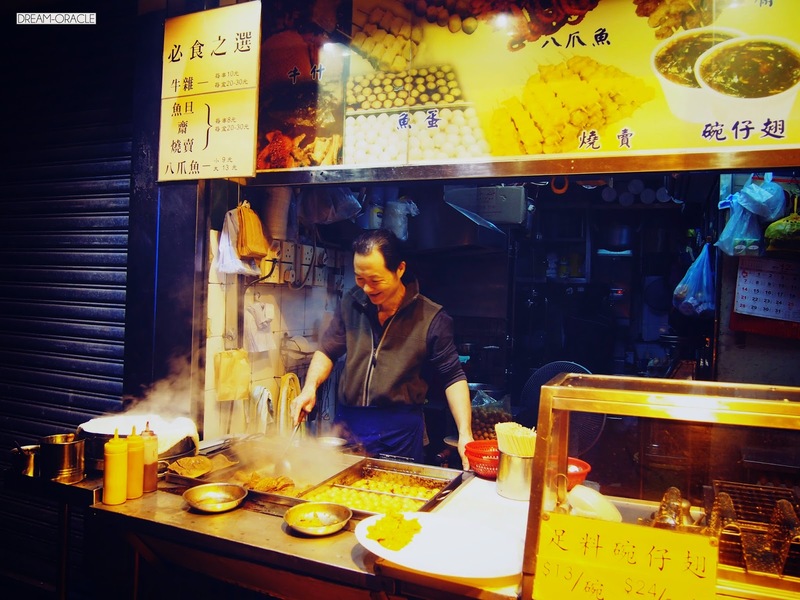 The one thing I love about Hong Kong is the assortment and variety of street food available. It is mind boggling how some of the street food can taste so much better and more comforting than that of restaurants. There's a curry yudan stall just down the sidewalk from our hotel. The uncle even smiled when I was taking photos as he prepared my curry yudan and octopus bowl. Yum yum, I could eat this all day long and not get bored! The curry is not exactly like our chicken curry here, it's more like a spicy sweet soup with caramelized onions and spices. 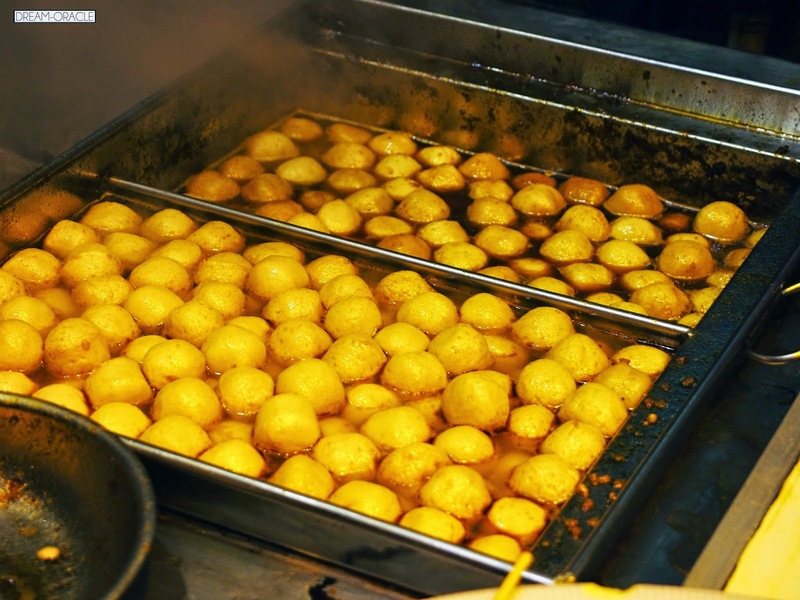 The yudan is very bouncy and has a firmer texture than the fishballs we have in Singapore. I quite like the texture. Slurped up all the soup and drank lots of water after that, else I'll be stuck with a sore throat the next day. 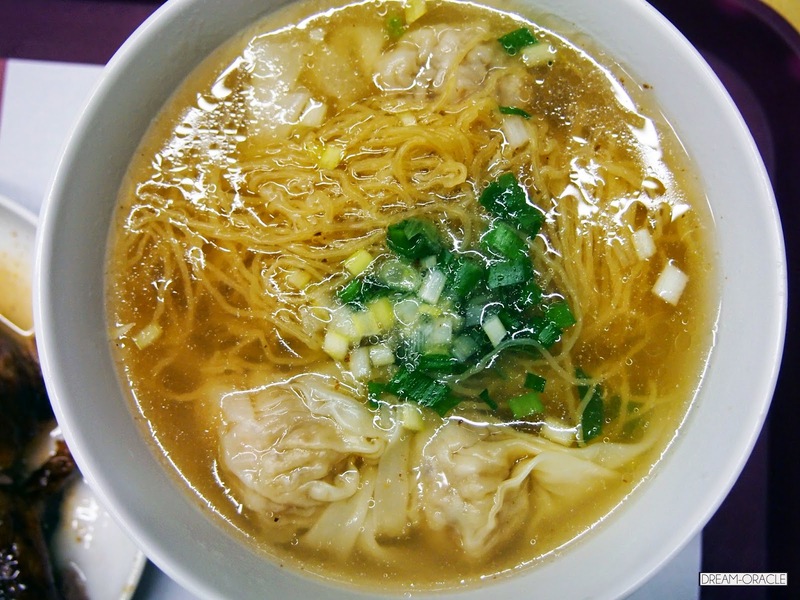 Another interesting Hong Kong dish is the Che Zai Mian 车仔面. If you look closely, it's actually like our cai fan stall with an assortment of ingredients for you to pick and choose. Except in this instance it's noodles instead of rice. There's braised radish, braised meat, yudan and an assortment of other ingredients. The soup is a light herbal flavour and the noodles are very tasty. Quite a comforting dish to have in the cold winter night. 艇仔粥 from a congee shop down the lane from my hotel. This is hands down one of the best porridge I've tasted in my life. It's so silky smooth and flavourful, chocked full of ingredients. Maxim is one of the biggest Hong Kong bakery chains and they also serve mains. I ordered a roast goose rice to try, and it was rather interesting. 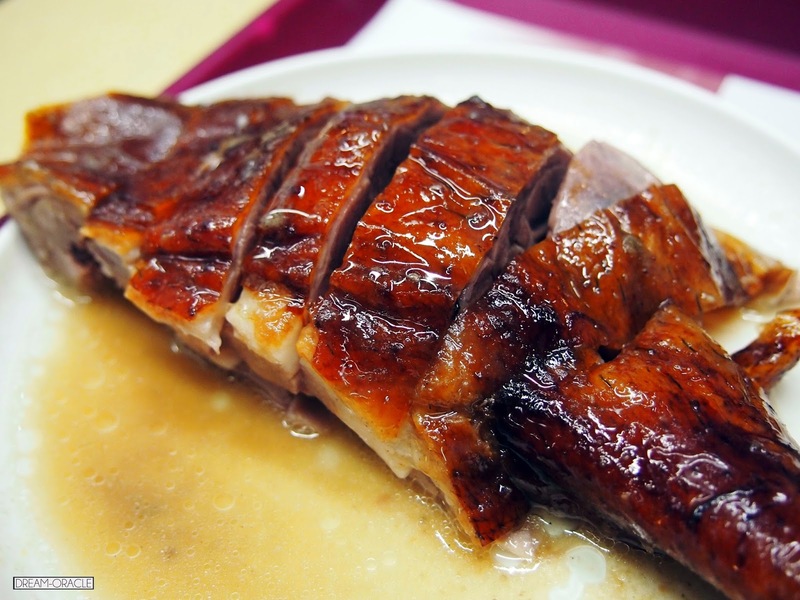 I'm not sure if goose is naturally fatty, and the meat is tougher, but I found this version extremely oily and the meat rather tough and hard to bite through. Oily is an understatemt, the oil literally drips and dribbles down your chin if you attempt to bite it in half instead of putting the whole piece into your mouth. It's definitely flavourful, but not one of my favourite. Maybe I haven't found a nice one yet. Roast goose drumstick and wanton noodles. The noodles were springy and the wantons very full. Soup was nice and light. 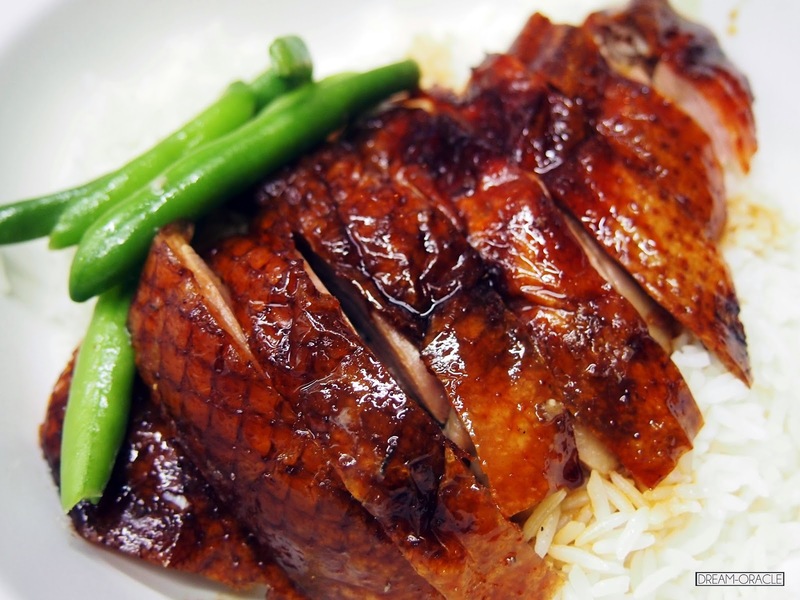 Definitely better than the roast goose rice. Found some egg tarts in Jordan after we had breakfast, and I love this! 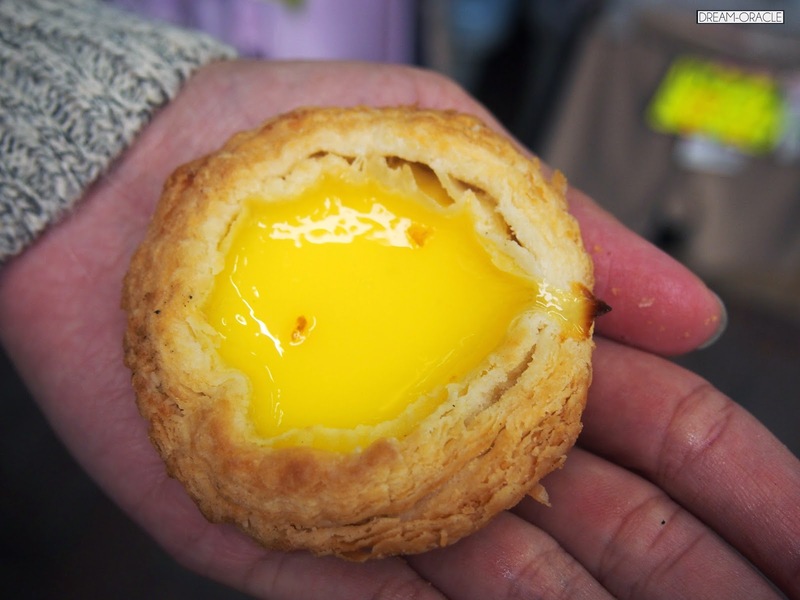 The crust was light and flaky, full of buttery flavour and the egg custard was wobby and soft. This is exactly how I like my egg tarts. 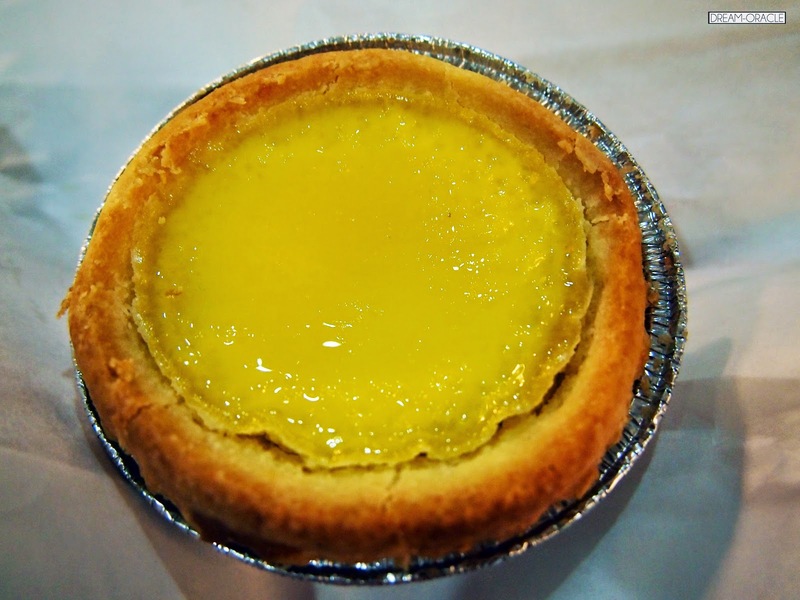 This egg tart was from Tai Cheong bakery, and it has a tart-like crust as opposed to a crumbly one. The egg custard is also firmer. Very good, but I still prefer flaky crumbly crusts more. I think the street food that has successfully captured my heart is most definitely the curry yudan and that silky smooth porridge. What about you? 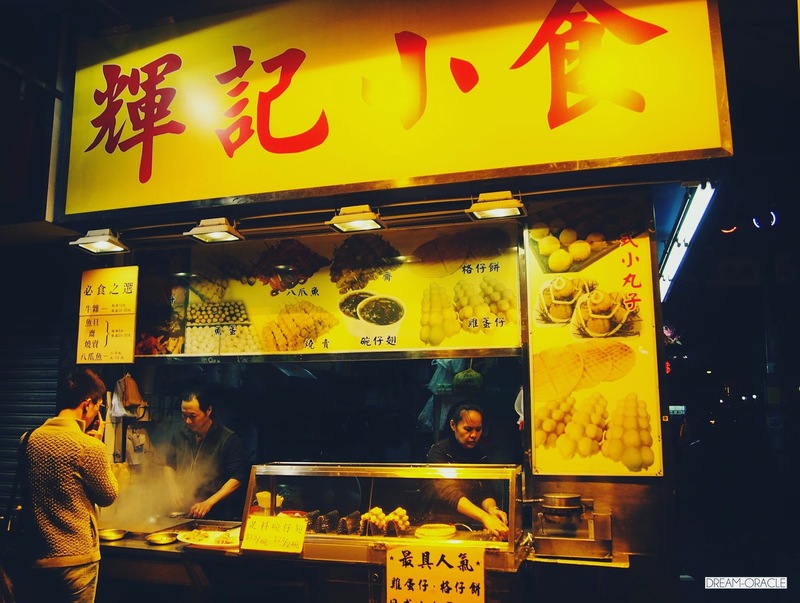 What's your favourite HK street food item?